annnnd I have yet to blog my goals for July!! July has been my busiest month of the year so far, but definitely fun and satisfying. and just this last Saturday host a photography workshop which was an amazing experience!! and for 2 out of the 3 weeks I was able to work out 4x. The last week I did exercise but it sadly wasn't 4x. Oh well -- this goal was mostly accomplished!! complete 5 Pinterest projects or recipes. I did 3..ish. The 'ish' is because one of them I made about 7/8 of it in June, and then finished it up in July, and also does one yarn tassel count as a project?! I hope it counts for something, because I did make one using this pinterest link, haha! BUT here are photos of the other projects I made. I was asked to take photos for a grad party photo booth, and I didn't have a backdrop. Here is a shot from my 'real' camera from the booth..
worked great for what I needed that day!! Not the best photo, but this is probably my favorite pinterest project I've made so far. I got to plan a bridal shower for a friend of mine, Bekah, and we did different shades of purple for the theme. and for mine I used a wrapping paper roll and looped the yarn around in three different shades. Kind of time consuming, but it looks super killer by the time you are done! Then I spray painted a wooden letter 'B' and tied it in the center with sparkly silver ribbon. Purple wall hanging for the win! FINISH Count of Monte Cristo. This is probably the biggest goal I have accomplished so far this year. Guys, I FINISHED all 1,243 glorious pages of Monte Cristo. complete with m&m's after we finished a book we had been working on. and invite all you blog readers to celebrate this!! I guess a virtual one will have to do. Seriously though, I laughed and cried my way through this book..so insane. Totally one of my top 5 favorite books I've read!! The last few days of June I was rocking the hermit/introvert life in my bedroom trying to plow through hundreds of pages to complete my goal. So worth it, and I highly recommend this work of art. paperwork fridays. This only actually happened once on a Friday, but I was caught up on paperwork by the end of June. It just didn't occur on the day each week I was shooting for. photograph more sessions! 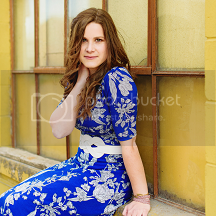 Loved the June sessions I got to do, as well as the July ones here! so contact me asap if you are interested in family, senior or engagement photos! do stuff that is relaxing. Fall is always my busiest time of year, and I know things will only get crazier with each month ahead. Therefore it is essential to not let your business run you ragged, and take time to breathe, be still and regroup. Whether this is journaling, gettting on pinterest for a few minutes, watching a favorite BBC movie, or meeting a friend for coffee, I want to take some time to relax in the midst of everything else going on. create one handmade project. Recently I read the book, "Steal Like an Artist", which is super profound AND short (if you're looking for a good read!). In there the author, Austin Kleon, talks about how important it is to make things with your hands. In our digital age we enjoy things like photography and graphic design, which are awesome art forms!! However, they often just remain inside our computer screen, and we forget how important and significant it is to create with our hands. So, I'm not sure what it will be yet, but I am going to make something. Whether it is a knitting project, or just some handmade cards -- or something entirely different. :) Time to get the hands-on, creative juices flowing. If anyone has any handmade project ideas you love, please comment with them!! go through inventory. Over the next month here I am going to go through and assess inventory (flash drives & packaging) and if needed, re-order any items so I am stocked through the end of 2014! make headway in "Grow Your Handmade Business." This book by Kari Chapin, is really neat. I started it awhile back, and want to get through a lot more of it (or finish the whole thing!) by the time I blog my September goals. Can we all take a moment of a silence in appreciation of Caribou Coffee?! #myhappyplace Flying. Always my favorite. in Tennessee!! Celebrated my youngest brother's birthdays together back in July!! FACT : large family parties mean LOTS of cake. #sugaralert SO grateful for good friends I have through the Bright Lights ministry!! What goals do you have as your summer wraps up? !